We are locally owned, independent pharmacies with so much to offer! 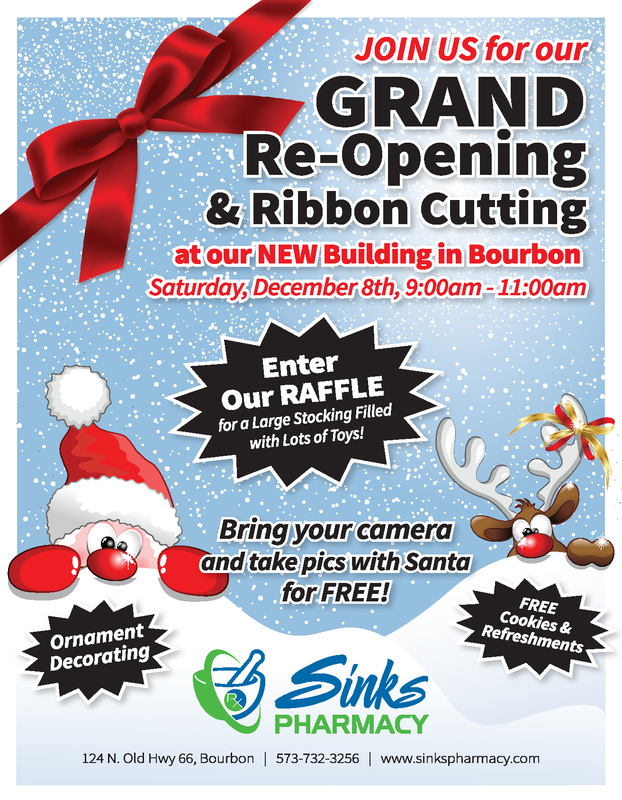 Sinks Pharmacy – Bourbon: Grand Re-Opening & Ribbon Cutting PLUS a visit from SANTA! Join us in celebrating the opening of our brand new building! Santa will even be there! Bring your camera and get a photo with Santa at no charge! Raffle for a large stocking filled with lots of toys, ornament decorating, free cookies and refreshments. Copyright © Medley Pharmacy, Inc. All rights reserved.